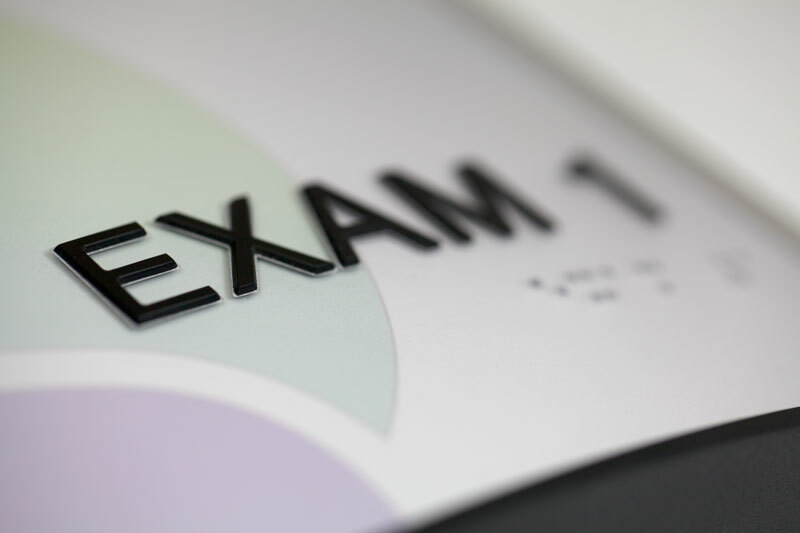 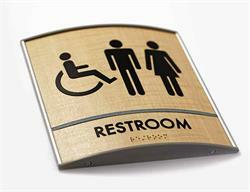 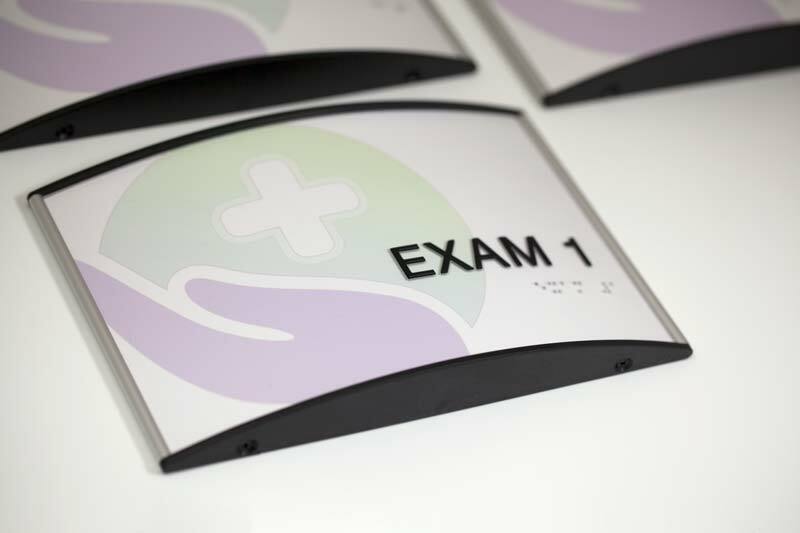 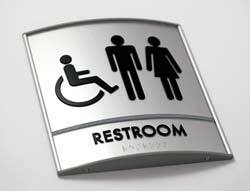 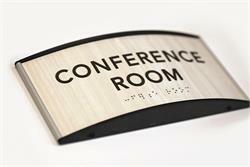 Curved ADA compliant office signs include 1/32" tactile (raised) text and grade 2 braille on a removable matte clear lens. 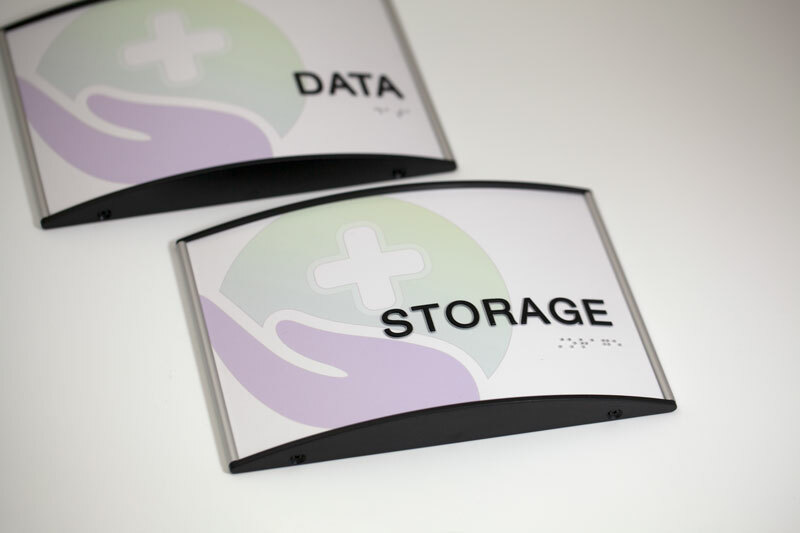 Metal frames are available in a satin silver anodized or a black powder coated finish with your choice of black or grey high impact plastic end caps. 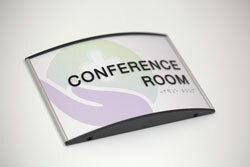 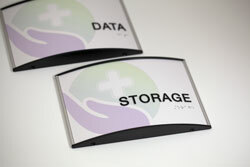 Signs include a suction cup to assist in removing the lens if you need to interchange information in your sign. All signs include a custom Dura-sol insert that is placed behind the matte clear lens to add color to your sign, but the design should be kept simple (busy patterns do not comply with ADA regulations). 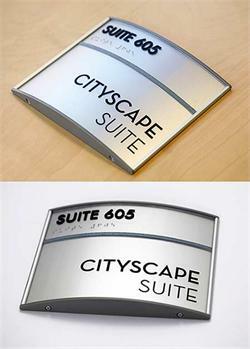 Standard tactile text colors are black or white. 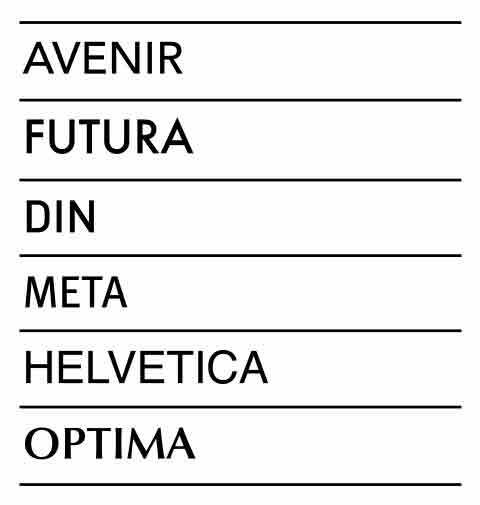 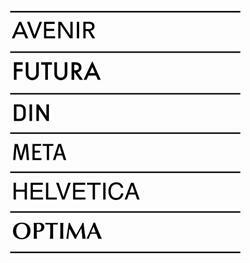 When choosing the text color, be sure to select the color that offers the most contrast from your insert color (ADA regulations require at least 60%). 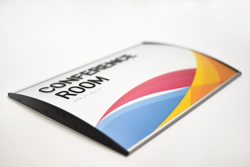 Our layout artists will check the contrast when designing your sign, and will contact you if the color combinations are not compliant. 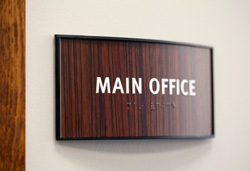 If information changes, order a new Dura-sol insert or a new matte clear lens with tactile and braille to interchange in your sign without ordering a whole new unit.